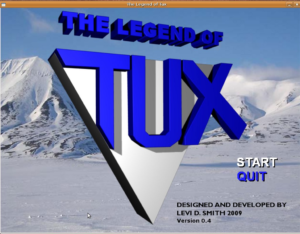 Legend of Tux is a game I developed in C using the SDL libraries. 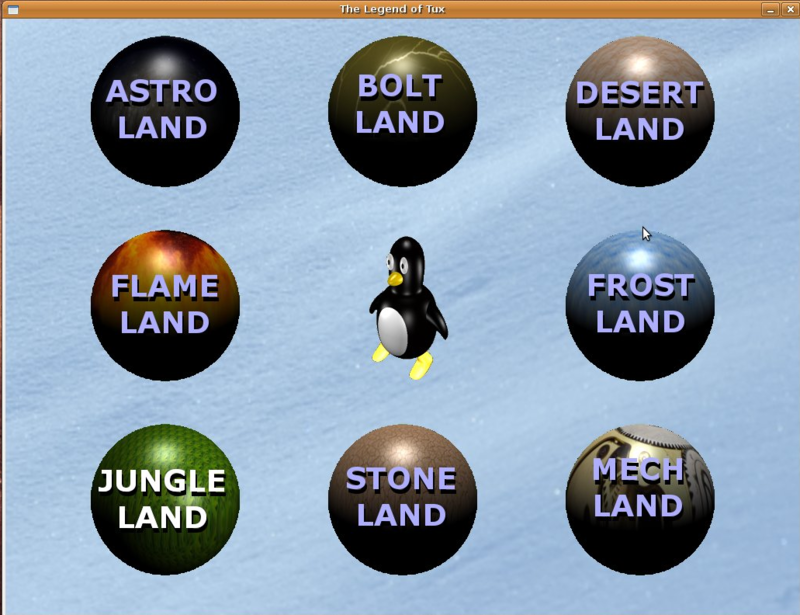 The game runs on various flavors of Linux and Windows. 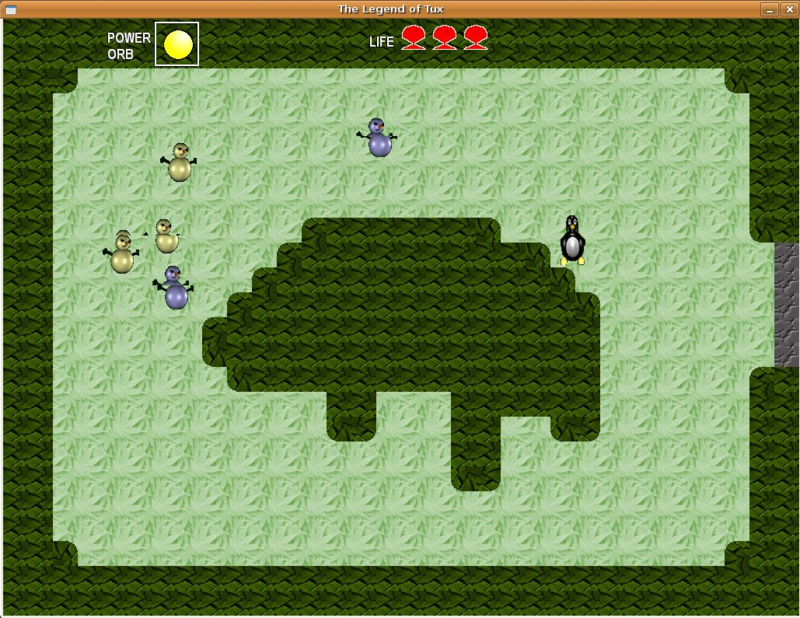 The player controls Tux the penguin and attacks evil creatures to clear eight stages. As Tux defeats enemies, some drop power orbs which allows enemies of that color to be defeated more easily. Clearing all of the enemies in a room opens door to the next room. 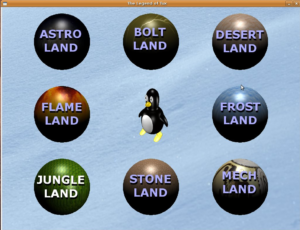 Holding the attack button will make Tux charge and shoot projectiles at the enemies. 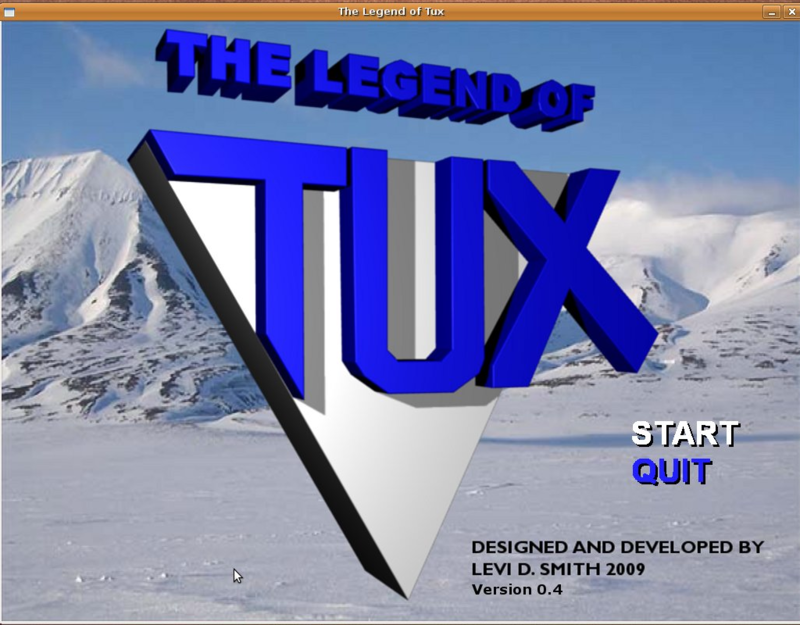 See the Legend of Tux Wiki for more information on the project and how to download.